Modern India is the world’s largest democracy, a sprawling, polyglot nation containing one-sixth of all humankind. The existence of such a complex and distinctive democratic regime qualifies as one of the world’s bona fide political miracles. 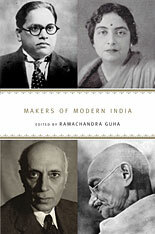 Furthermore, India’s leading political thinkers have often served as its most influential political actors—think of Gandhi, whose collected works run to more than ninety volumes, or Ambedkar, or Nehru, who recorded their most eloquent theoretical reflections at the same time as they strove to set the delicate machinery of Indian democracy on a coherent and just path. Out of the speeches and writings of these thinker-activists, Ramachandra Guha has built the first major anthology of Indian social and political thought. 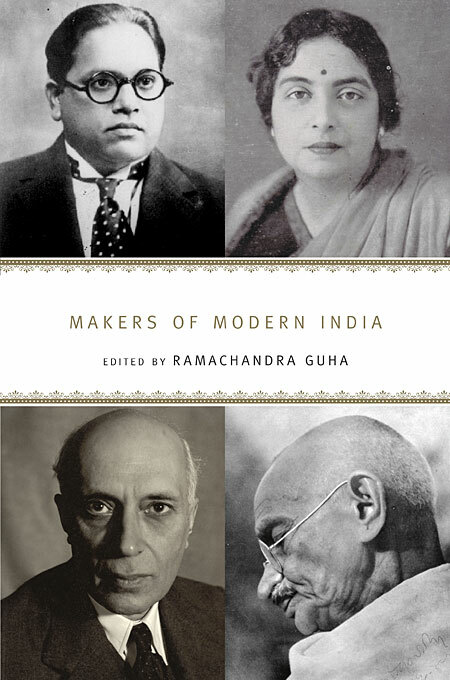 Makers of Modern India collects the work of nineteen of India’s foremost generators of political sentiment, from those whose names command instant global recognition to pioneering subaltern and feminist thinkers whose works have until now remained obscure and inaccessible. Ranging across manifold languages and cultures, and addressing every crucial theme of modern Indian history—race, religion, language, caste, gender, colonialism, nationalism, economic development, violence, and nonviolence—Makers of Modern India provides an invaluable roadmap to Indian political debate. An extensive introduction, biographical sketches of each figure, and guides to further reading make this work a rich resource for anyone interested in India and the ways its leading political minds have grappled with the problems that have increasingly come to define the modern world.